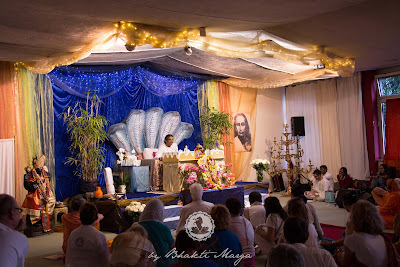 We'll continue with two more topics from the third day of the Shreemad Bhagavatam course with Sri Swami Vishwananda. There were once two friends, Puranjana, and Avignatha. Both were happy and free. 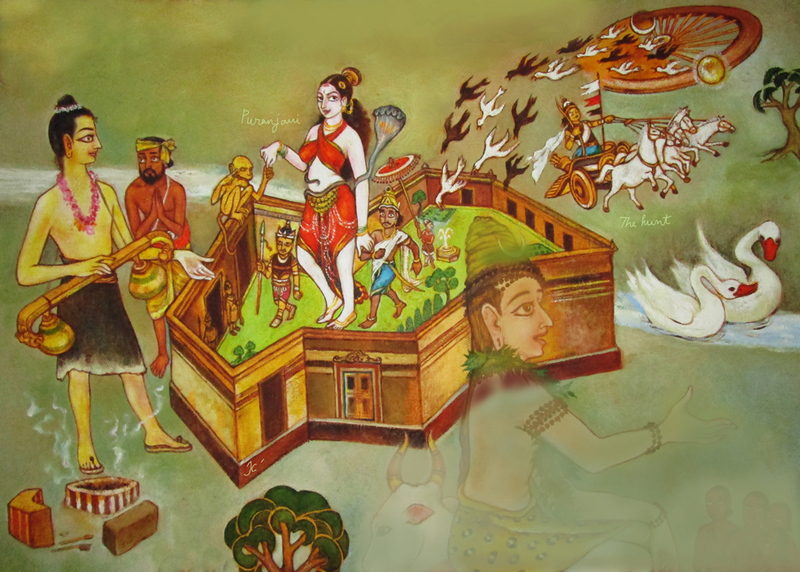 Once, while exploring the forests, Puranjana saw the city Bhogavati, and went to visit it. The city had nine gates, and was decorated with all sorts of beautiful metals and jewels. In this city, he met a beautiful lady, named Puranjani. Becoming totally smitten by her, Puranjana approached her, and they decided to get married. He forgot completely about his friend Avignatha. They lived happily for many years, and had many children together, were surrounded by wealth, and were very attached to each other - Puranjana was a slave to his desire for his wife. Due to his lifestyle and his passionate desires, he became old and weak sooner than normal. In the world, there was also a daughter of Time, named Jara. She was old age personified, but yet began searching among the divine beings and yakshasas for a husband. She approached Bhaya, who was Fear personified, and asked him to accept her as a husband. Bhaya did not want her as a wife, but instead adopted her as a sister, saying that she should join in fighting with the army he was in, to attack and plunder palaces. Together, they would make the cities they plundered completely useless. Eventually, Puranjana's and Puranjani's city came under attack from this army. During this siege, Jara embraced Puranjana, causing him to lose his beauty, and to become old. More and more, bit by bit, the army pillaged the city. Puranjana became weaker, less intelligent, more attached to his desires. His family and the entire city became weaker and weaker. The soldiers killed the family of Puranjana, who was unable to protect them. 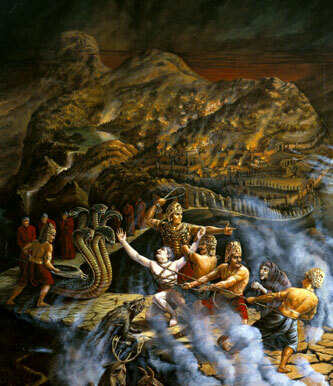 They burned the city, and ultimately killed Puranjana and Puranjani. Because of his strong desire, Puranjana's last thought was of his wife Puranjani, and so, his next birth was as a woman - the daughter of a king, named Vaidarbhi. When Vaidarbhi was of age, she was married to a devout king, who went into the forest to do great penance. Here, her husband died. She mourned the loss of her husband deeply, and was about to jump onto the cremation fire with his body, when a brahmana approached her. The brahmana told her that he was Avigyathan - and his close friend in his past life as Puranjana. He explained to her about her past life: how her last life's attachment to the city of Bhogavati, to Puranjani, had caused this rebirth. He told her about how this cycle would continue forever, preventing her from attaining the Divine. 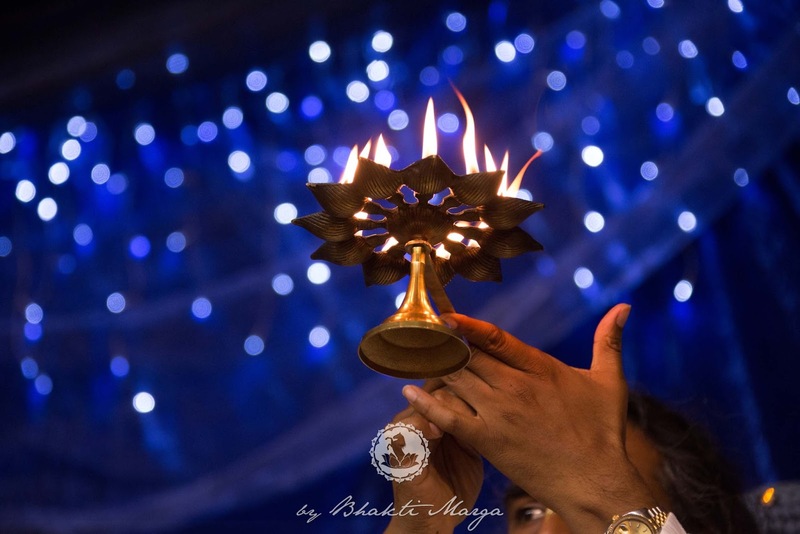 Vaidarbhi realised that she was truly neither Vaidarbhi only, nor Puranjana - she was immortal friends with Avigyathan, and had only been in an illusion from one life to the next. 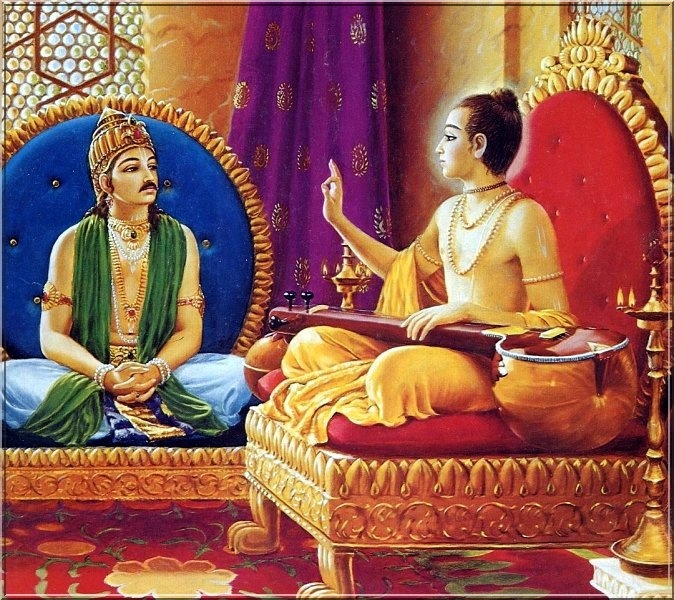 After Narada Muni finished telling this story to King Prachinabarhi, he explained its meaning: Puranjanan is the soul, and Avignatha is the Lord. The city of Bhogavati is the human body. 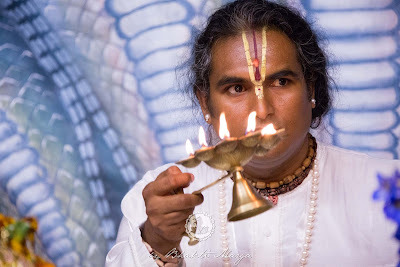 When Puranjanan wants to live in the body, he forgot his friend, the Lord. 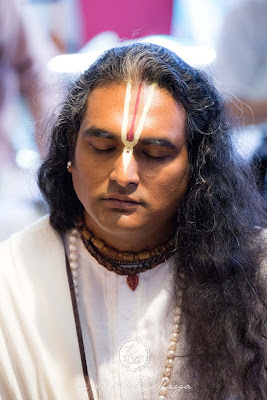 Puranjani is the mind. 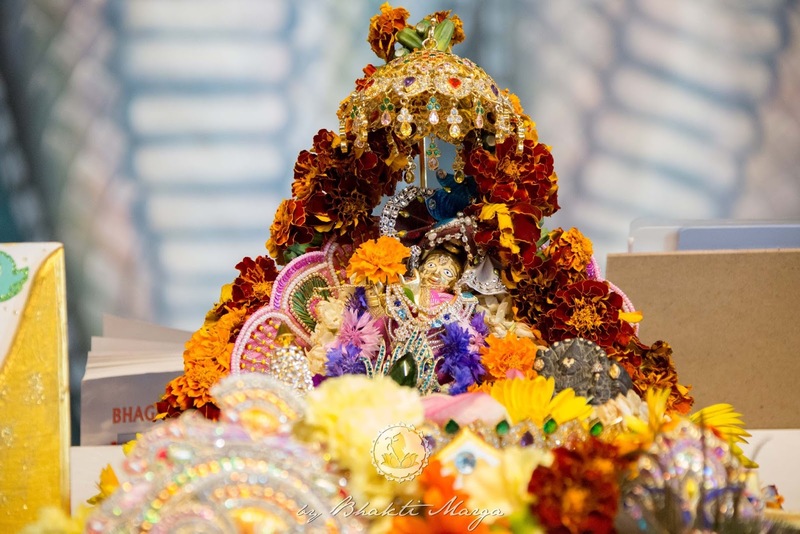 The soldiers that attack the city are the thoughts which the mind has, and when Puranjanan was attached to the city, he was completely controlled by these thoughts, which made him take another birth. To break this cycle, we need the Grace of the Guru, which in this story was Avignatha reappearing as the brahmin. When we surrender to the Guru, he will direct us to realise our true self - an immortal friend of the Lord. You are not here to attach yourself to this world because everything which is in Bhogavati ["the world of enjoyment"] has an end. Even this physical body has an end. 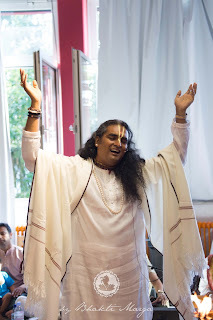 You saw yesterday, even Bhagavan Himself has taken a physical body and He Himself had to let go of that physical body. He could have kept it, but no. You will die. Whether you want it or not, you will die. The quicker you accept that, the better it is. Freer, and without fear you will be. The more you fight it, the more difficult it becomes, and the more it will torture you. Like for Jara, the more pain you will have to let go. When you see that you are lying on your deathbed, there is nobody. You know, you can ask left and right to help you, but what can they do? “Here, have this paracetamol that can give you relief of some pain.” What can they do more? Put the medicine in your mouth or inject you with the medicine to ease your pain. But at that moment of dying there is no husband, there is no wife, there are no children, there are no friends. No one is there. When you are looking at death, can they say to you, “Oh, you know, I love you so much! Please, let me die for you!” No they will not! While speaking of the many levels of hell, he spoke about atonement. 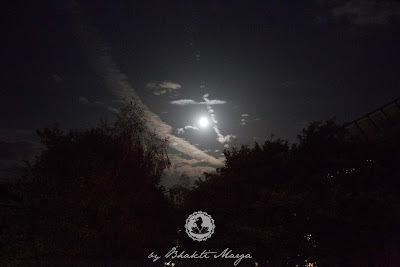 He spoke about how when one attains a certain good merit, they attain certain kinds of heaven. Similarly, when one has certain kinds of negative karma, they go to a certain kind of hell. Before you leave this body, before you die, it is best to avoid this hell. It is best to reflect and rectify while you are still strong and your mind is still working properly to do atonement for it. Otherwise, when you come to a certain age you lose your brain and you can’t do anything to atone for it. If you have hurt somebody, don’t waste so much time to go and ask for forgiveness. Go, ask for forgiveness from that person, whether they want to give it to you or not it’s up to them, but from your side, you will be free from that karma. You will be free from that weight. That’s what Christ said, na? When we do the liturgy He says: Before you come and take communion go and ask forgiveness from your brothers and sisters whom you have offended. So, the same. He said, “Go, when you still have time, when you still know what you are doing, ask for forgiveness, ask for atonement. 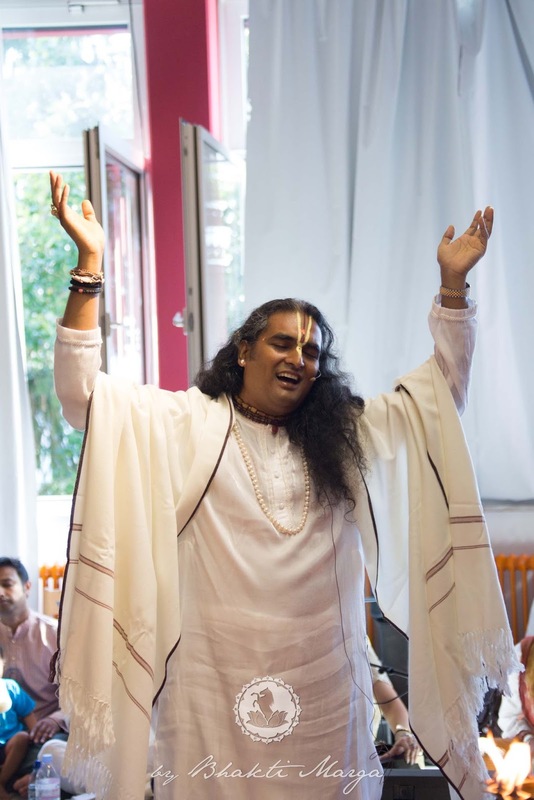 Swamiji spoke about this forgiveness being dependent on a sincerity from within - that it is through first forgiving yourself for a sin, by truly wanting to avoid it and seek a right path in the future, that one achieves forgiveness from the Lord. He mentioned the example of the great saint Valmiki. Valmiki was once a great criminal named Ratnakar, who would rob people after killing them. 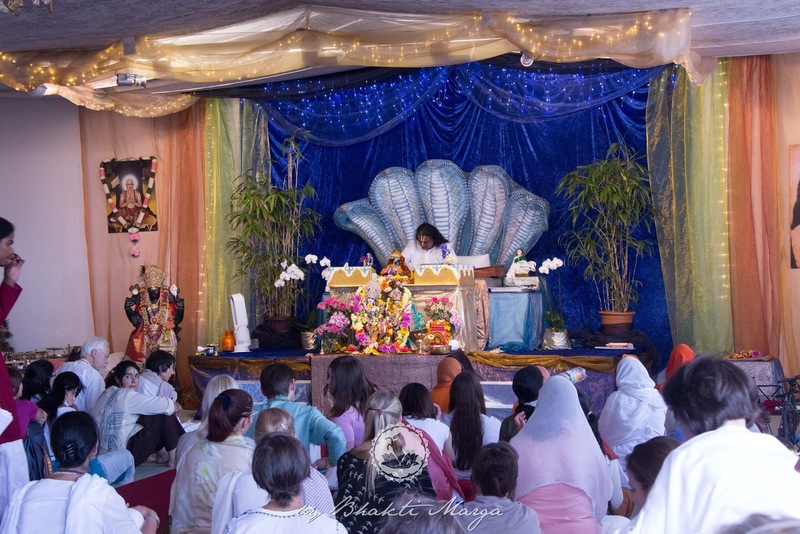 After realising the bad karma we was accumulating, he started a new path of penance by chanting the Divine Names, and committed himself to it whole-heartedly. 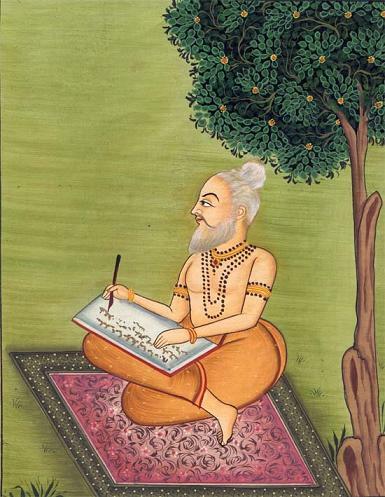 After years of this sadhana, he was renamed as "Valmiki" by the Divine, and became a great sage: he shared the story of Lord Rama with the world by writing the holy scripture, the Ramayana. Sri Swami Vishwananda said that if you are fully surrendered to Narayana, you don't need to worry about the different levels of hell: if you have single-minded devotion for Narayana and regret whatever sin you have done, that regret becomes the atonement. If you sincerely regret the sins you've committed, he makes you a saint. If you are strong, if you have the power, if you have the courage, face it. Go ask forgiveness, go rectify it. If you have a grudge, remove that grudge. Rectify it while you still have time.